Atlanta Man Breaks the Famous Cross Country Record from 1981 Movie "Cannonball Run"
Ed Bolian set out to beat the cross-country record for driving from New York to Los Angeles by a stark margin. 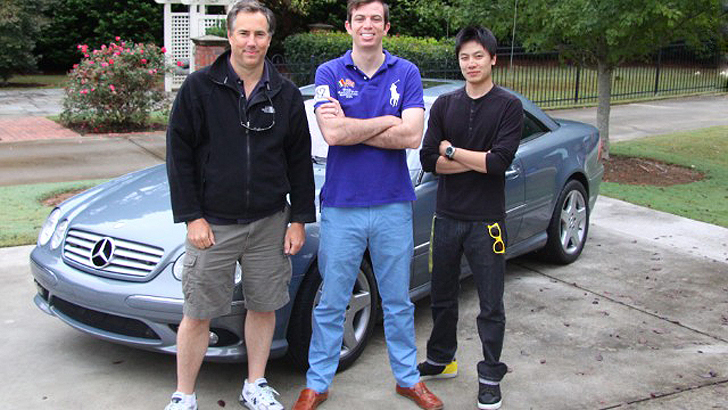 Driving at an average speed of 98 mph, with the top speed of 158 mph, his Atlanta-based team crossed the distance in 28 hours, 50 minutes and about 30 seconds, which beat out the record set by Alex Roy and David Maher in 2006 by 2 hours and 46 minutes. Inspired by the 1981 movie “Cannonball Run” that involves a wild and illegal cross-country car race, the driver and his team eventually set out on a serious mission to break the record driving from New York to Los Angeles. Bolian researched cars, routes and equipment, and spent around 18 months preparing for the journey. 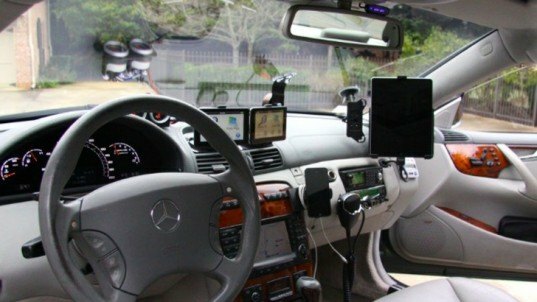 After 18 months of preparations, he took his Mercedes CL55 AMG on the road, and equipped it with radar detectors, laser jammers and a switch to kill the rear lights in order to foil police. He added 22 gallon tanks in the car’s trunk to up its range to about 800 miles, chargers for smartphones and tablets and made sure to have enough snacks and coffee to last him the entire trip. The team left the Red Ball Garage on East 31st Street in New York on October 19 at 9:55 pm, and then passed Ohio, Illinois and reached St. Louis before dawn. According to an unnamed tracking company, the car reached the Portofino Hotel and Marina in Redondo Beach, California, at 11:46 pm on October 20. The total time was 28 hours, 50 minutes and about 30 seconds. Bolian slept only 40 minutes during the trip, while his co-driver Black slept for an hour, which is extremely dangerous. However, they chose a weekend day with clear weather and a full moon for their journey and routes with minimal traffic. Bolian acknowledges the danger of such a stunt and hopes that the fact they broke the record by such a stark margin will discourage others from trying to do the same.